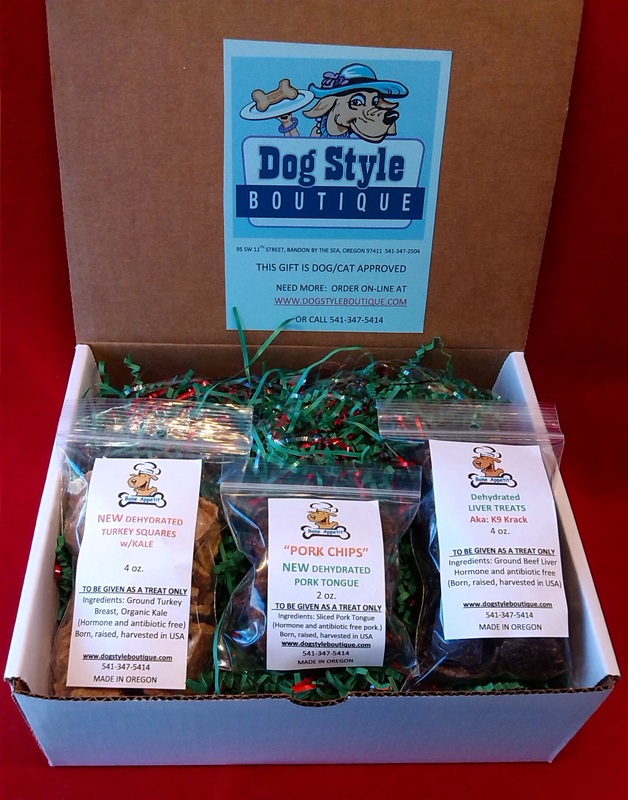 HAVE THIS SHIPPED TO YOUR FAVORITE "FIDO" FRIEND FOR THE HOLIDAYS!! 4 oz. Bag of our Popular Dehydrated Liver AKA: K9 Krack. 4 oz. Bag of Dehydrated Turkey Breast with one of our additions (Our choice), could be pumpkin, sardines, cranberry or blueberry, kale, or apple! 4 oz Bag of Dehydrated Pig Tongue AKA: Pork Chips - Exactly that, USDA, antibiotic and hormone free pig tongue, sliced, roasted and dehydrated!! 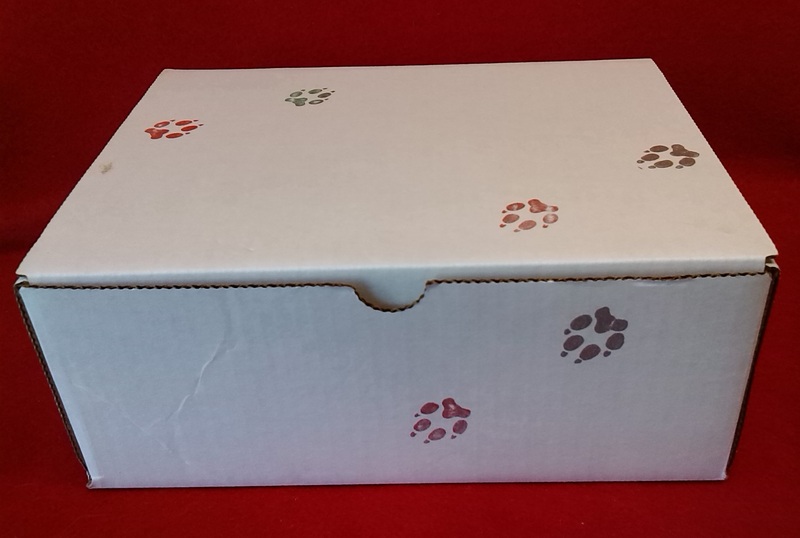 The Gift Box is ready to have mailed to your fido friend. Everyone loves it when you remember their pet. Remember, CATS loves these too!! GREAT GIFT....GREAT PRICE!! Please know that all of Bone Appetit's treats are handmade in Oregon, all meat and offal are hormone/antibiotic free and human grade, and are born, raised and harvested in the USA.